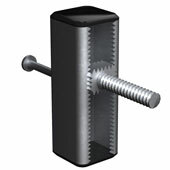 LW-340 Long Wedge Insert is suitable for use at the bottom of the slab or when additional vertical adjustability is needed. 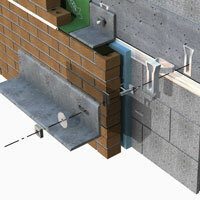 Wedge inserts are embedded into concrete slabs. 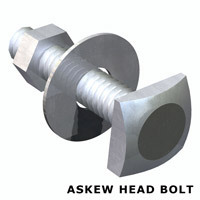 The beveled head of the askew head bolt engages the internal wedge shape of the insert and produces an automatic tightening action when a load is placed on it. LW-340 17,305 lbs. 17,367 lbs. 4,125 psi 150 ft./lbs. 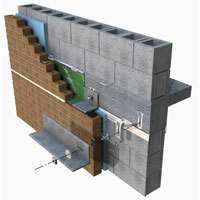 All values listed are ultimate capacities in pounds which should be reduced by a minimum safety factor of three to determine the allowable working loads. 3/4” dia. 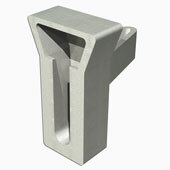 x 2”, 2-1/2”, 3” or 4” long. 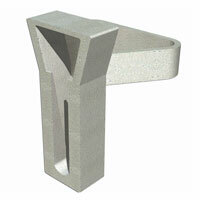 Available Plain, Stainless Steel or Zinc Plated. Hot Galv available on special order.